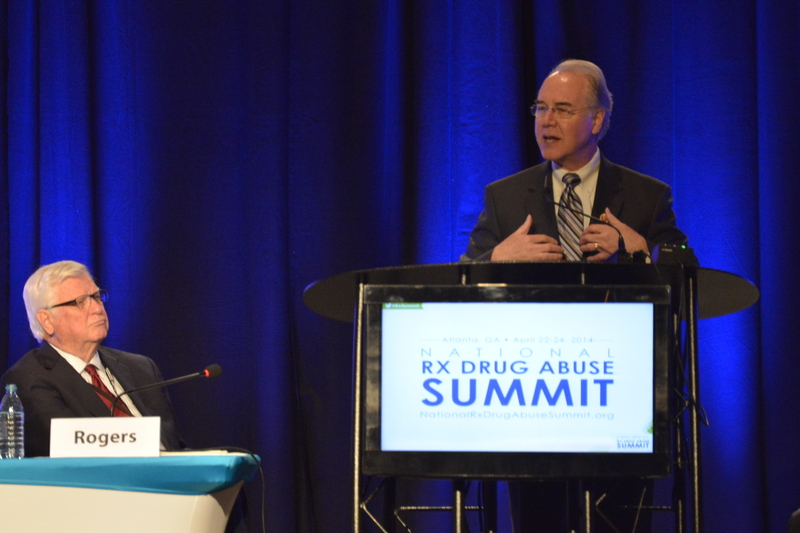 At the National Rx Drug Abuse Summit, U.S. Rep. Harold "Hal" Rogers (R-KY) joined four members of Congress to discuss efforts in the fight against the prescription drug abuse epidemic in the U.S. and to examine what more needs to be done at the federal level. Congressional panelists included U.S. Representatives Tom Price (R-GA), Bill Keating (D-MA), Stephen Lynch (D-MA), and Nick Rahall (D-WV) with moderator Steve Pasierb, President and CEO of The Partnership at Drugfree.org. "Twenty-one people will die before we leave this conference -- 21 moms, dads, sons or daughters," said Congressman Rogers who cosponsored the Act to Ban Zohydro. "It is incumbent upon each and every one of us to do more to stop this madness." Congressmen Rogers and Rahall serve as Co-Chairs of the Congressional Congress on Prescription Drug Abuse. "We see similar problems across state lines with prescription drug abuse, especially between my home state of West Virginia and neighboring Kentucky," said Rahall. "And here at his summit, we can collaborate on effective solutions and policies to enhance our efforts across state lines." 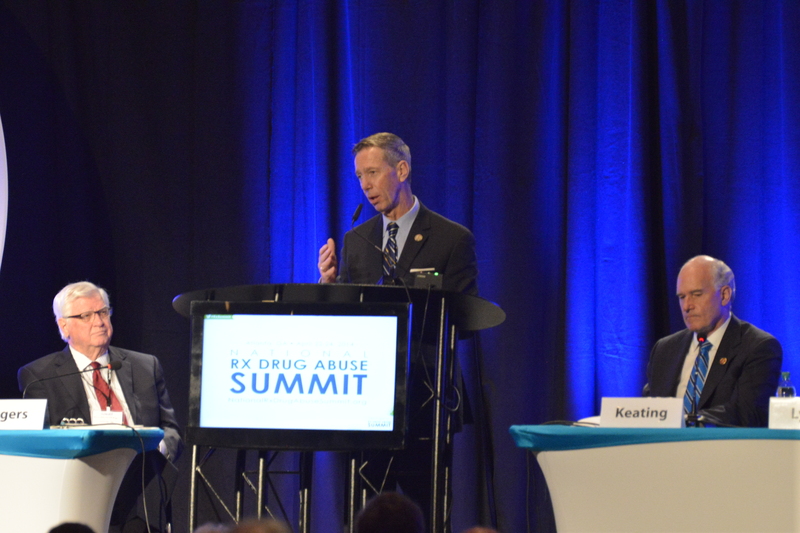 Congressmen Keating and Lynch shared growing efforts in their home state of Massachusetts where more drug counselors are being placed into both private and public middle schools to help educate students about addiction before they reach high school. "We need to focus on education," said Congressman Lynch. "We can spend a dollar in prevention for one hundred in the cure." "We know medication is available to relieve pain, but we need to remember the pain that doesn't go away," said Congressman Keating who sponsored the STOPP ACT. "Death, divorce and tension at home - that's the real pain. That's why we are committed to this fight and that's the pain we have to treat in this country right now." Georgia's Congressman Price is also a physician and explained how the country needs to be more creative about helping doctors in the fight. "Doctors are precluded from reporting bad actors due to the threat of anti-trust lawsuits," said Dr. Price. "Our country has made some progress, but we've also done some bad things. Allowing Zohydro to go to market is one, medical marijuana is another. It's important that we charge Republicans and Democrats - all our leaders - to reverse this direction." 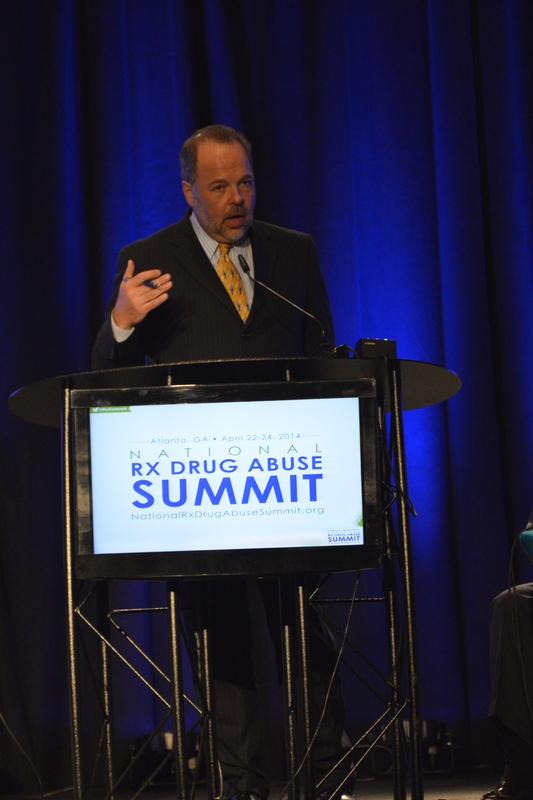 To learn more about the National Rx Drug Abuse Summit, visit http://nationalrxdrugabusesummit.org.